To catch the worms in the twilight hours. That conceals them from predatory powers. Stay together or become a casualty. 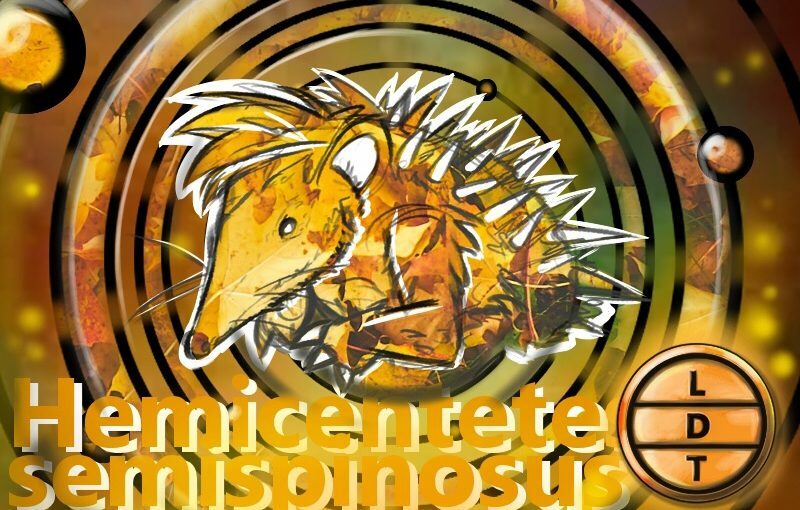 Weight – 203 g (7 oz) – How many hydrogen atoms go into the weight of a lowland streaked tenrec? Hint: There is one mole of hydrogen in one gram of hydrogen atoms. Answer: 12,220,600,000,000,000,000,000,000 (twelve septillion two hundred and twenty two sextillion atoms). 26 digit. Lowland streaked tenrecs are the only mammals in the world to stridulate! Stridulation is producing sound by rubbing body parts together. Insects are the most common stridulators, they stridulate by rubbing legs, wings, body segments together. Some snakes rub their scales together to produce a sizzling sound. Lowland streaked tenrecs will rub special spines together to create a clicking sound. The quills are located in the middle of their back. Made of keratin like your hair and fingernails. Tenrecs can move the quills on their backs when threatened. These special quills can move independently. The tips rub together to make a click or snapping sound. This can be used for three possible reasons. To communicate between mother and young. They may also possibly click with their tongues to echolocate. When the BBC film crew used instruments that detect high frequency sounds they found that tenrecs are almost constantly communicating. This could mean they are using the clicks to get around the dark forest at night. No one is quite sure why they communicate with both their mouths and their quills. Typically, mammals that make calls use vocalization for all auditory communication. Possibley to cut through the din of the forest as Attenborough says. Hey, Taxonomy Titans! Tenrecs may be the only mammals that communicate with stridulation but humans are the animals to communicate with social media! We aren’t prickly tenrecs! We’d love to hear from you. If you want to give us feedback, send us your favorite animal memes, or give us episode ideas, you can find us on Facebook, Gmail, Twitter, and now introducing… Instagram! 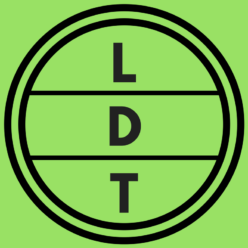 Just search us by the name LDtaxonomy on all the social medias! And as always, your reviews on iTunes and other podcast apps go a long way in tickling our fancies! Thanks for listening and supporting your local homegrown podcasts. Previous Previous post: Welcome to Life, Death, and Taxonomy!